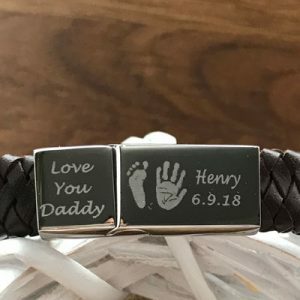 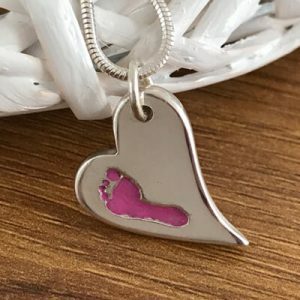 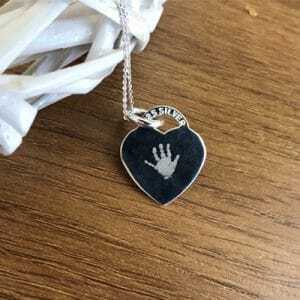 This handmade silver charm can hold the hand or foot print of your child or loved one with a pink or blue finish. 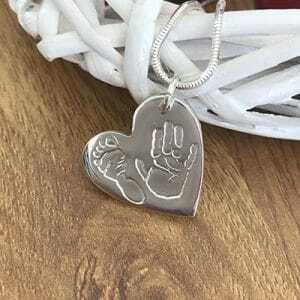 This charm comes supplied on a jump ring if you require a necklace there are an assortment of optional extras to choose from please see handmade jewellery accessories. 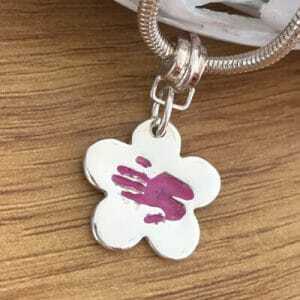 You can opt to have initials hand inscribed on the reverse, up to 3 characters. 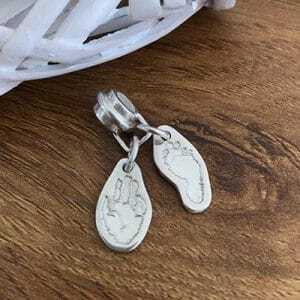 You can upload, scan and email, or photocopy and post the drawing there is no need to send us the original. 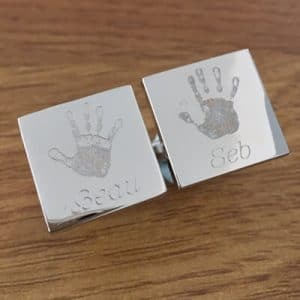 If you are unsure if your image is suitable please contact us.